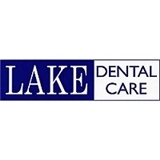 Lake Dental Care (Chicago) - Book Appointment Online! Imagine benefiting from routine, or even cosmetic dental treatment in the Chicago area without the fear you may normally associate with going to the dentist. You deserve a bright, clean, natural-looking smile without worrying about the potential stress and pain of dental treatments. Come experience sedation dentistry in Chicago at its best with Dr. Donald L Bennett, who understands the needs of people who fear the dentist. We do our best to help you feel at ease while you receive your much needed dental treatment. The doctor and staff was very thorough and informative!